Leading Minds provides a wide array of individualized Executive Coaching &Personal Coaching services in Massachusetts. Drawing on the principles of “positive psychology,”Dr. David Brendel uses evidence-based best coaching practices to help his clients move their lives forward. His focus is on collaborating with clients to identify their core challenges, formulate a clear plan of action, and implement a meaningful solution. Click here to learn more and request Dr. Brendel’s papers on his approach to coaching. Here is a case study of how Leading Minds had a positive impact on the life of an executive working in the biotech industry. Stephan, a 42 year-old CEO of a biotechnology firm with venture capital funding, contacted me for help because he was feeling disrespected and undermined by colleagues on his executive leadership team. As the youngest member of the executive group, he worried that his relative inexperience was a major obstacle to earning the trust of his colleagues and leading the company to achieve its goals. He was particularly troubled by two of his colleagues. One of them, who had 20 years of experience manufacturing the kind of proteins that were essential to the company’s new product development, tended to “hold his cards close to his chest”and withhold essential information from Stephan. The other colleague, a highly accomplished 61 year old physician, tended to promote only his own ideas and denigrate Stephan’s ideas by constantly saying, “I’ve been at this a lot longer than you. Believe me, I know what I’m talking about.”Stephan was feeling powerless and completely ineffective as a young, first-time CEO. In 3 hours of executive coaching guided by the principles of Active Inquiry, Stephan made remarkable progress in developing self-confidence and asserting his important leadership role as CEO. To make this kind of progress, Stephan needed to reflect and reach a better understanding of the psychology of his colleagues. In the course of Active Inquiry, I asked Stephan a series of thought provoking questions which he’d never asked himself. For example, I asked: “Considering what you know about your colleagues, what might lead them to need to control information and control the conversations with you?”By careful self-reflection in the coaching context, Stephan came to consider the likelihood that both of his colleagues were actually feeling less secure and confident than Stephan. He noted that both of these colleagues recently had to leave positions with other companies. The manufacturing expert was let go when the new CEO of that company decided to take the company in a new direction and required a different kind of manufacturing expertise. The senior physician, it turned out, had been forced out of his previous Chief Medical Officer position by a CEO who would not renew his annual contract. As the Active Inquiry progressed and deepened, Stephan realized that his own anxiety and insecurity as CEO might be a pale reflection of the anxiety and insecurity of his colleagues. This realization in itself helped him to feel less alone and inadequate. More importantly, however, he decided that he needed to develop an action plan to reach out to his colleagues, let them know how much he appreciates them, provide reassurance about their value to the company, and strengthen the mutual trust that would be necessary for the company to grow. The Active Inquiry process allowed him to reflect on hard questions about when, where, and how to speak with his colleagues about these matters. As his executive coach, I stopped short of telling him what I thought he should do. More powerfully, I engaged him in dialogue and asked him questions that led him to profound insights and answers of his own. The direct and honest conversations he soon had with his two colleagues solidified the effectiveness of the executive team. With the executive team functioning at its best, Stephan had a newfound sense of self-confidence and hope. The company recently has moved forward to testing its new product internationally and has received an additional infusion of venture funding. Call or email Dr. Brendel for a free initial telephone consultation to assess whether his Career Coaching services are a good fit for you. 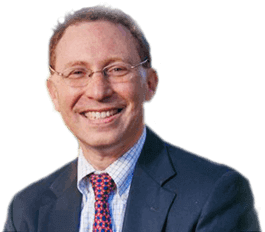 His office telephone number is (617) 932-1548 and email address is david@drdavidbrendel.com.